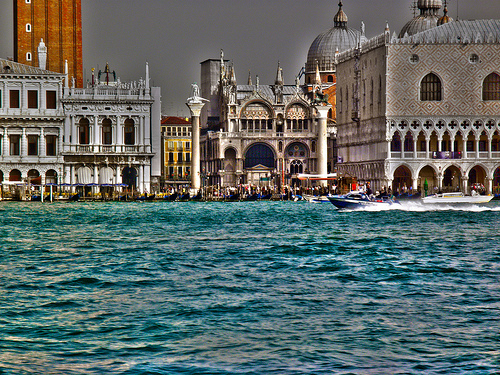 Venezia (Venice) is situated on the Adriatic Sea and is one of the most beautiful and romantic cities in the world. 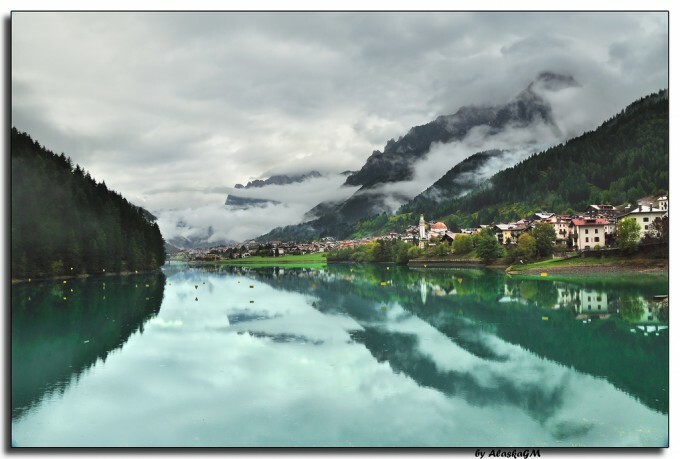 It is located in the region of Veneto which is bordered by the Dolomites, the pre-Alps, and Austria to the north, Friuli-Venezia Giulia and the Adriatic sea to the east, the Po River and Emilia-Romagna to the south and Trentino-Alto Adige and Lombardia to the west. 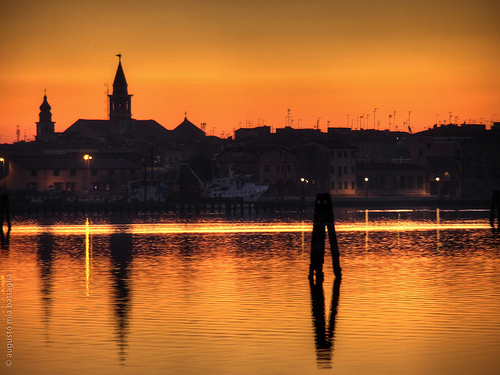 The heart of Veneto is the alluvial Po Delta reaching from Lake Garda to Treviso in the east. Historically the Repubblica Veneziana was comprised of Veneto, Friuli-Venezia Giulia, Trentino-Alto Adige, Dalmatia (now Croatia), Corfu (now Greece) and Cyprus. 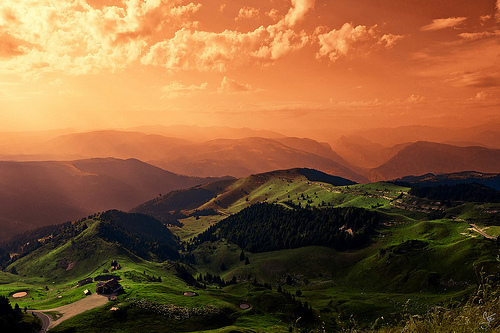 It was an extremely powerful and wealthy state which ruled from the 7th century until 1797. 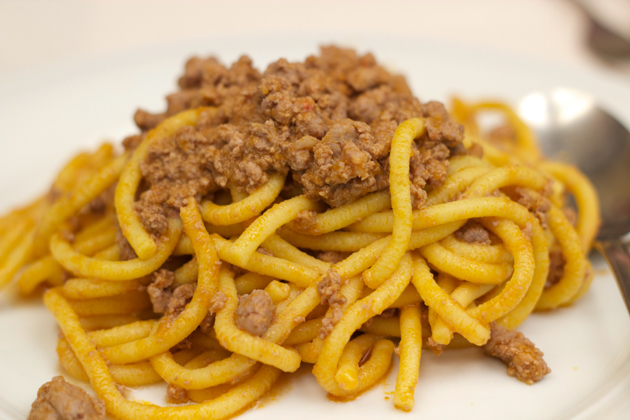 Venezia’s status as a historic trading port and its proximity to the Byzantine Empire and the Orient is reflected in its food: it is one of the only regions in Italy in which you will find spices added to dishes. Veneto’s most famous citizen was Marco Polo who travelled to China and back, returning with new influences. Being situated in a lagoon, Venezia has a fantastic range of seafood available as well as vegetables and fruits grown in the fertile lands along the coast. 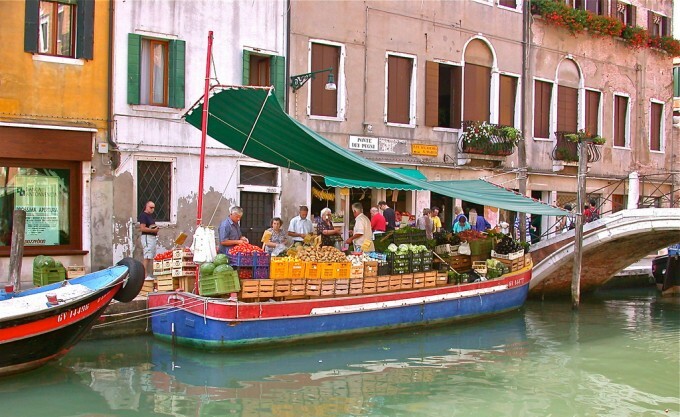 One of Italy’s greatest markets, Rialto, is situated in the centre of the city on the Canale Grande: all the merchandise must arrive by boat. 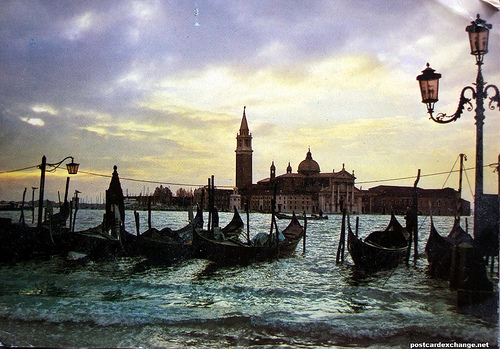 Venezia, it is said, is where the fork was invented. 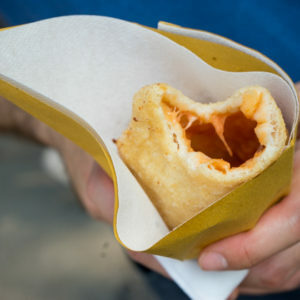 Today it is more famous for Carnival, a festival during which specials foods are enjoyed. 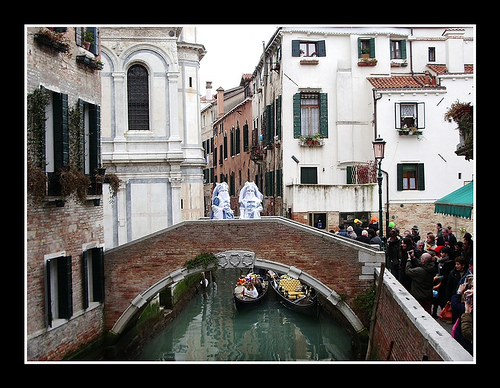 Glamorous, elaborate masked and costumed balls are held to the delight of Venetians and tourists. 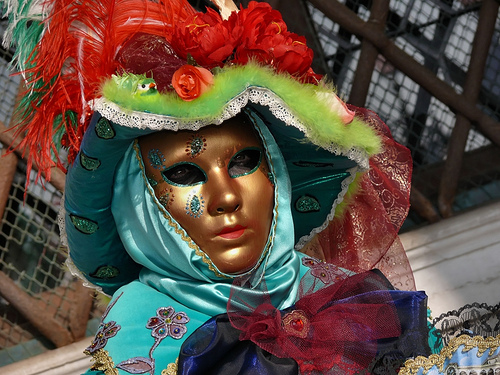 Some of the costumes honour established historical characters, such as the plague doctor with the beaked mask (Il Medico della Peste), the prankster with a black mask and soft hat (Arlecchino) and the self-made rich merchant (Pantalone). When in Venezia and the other towns of the lagoon it is customary to drop into a bar (or more than one, called ‘bacaro’)) for a glass of wine or spritz (a cocktail with wine, soda water and bitters) (the drink is called un’ombra) and a tapas-like snack (‘cicchetto’) anytime after 11 am. Many locals like to go to several bars to sample different dishes instead of sitting down for a more formal meal. Snacks vary from open-faced and traditional sandwiches, meatballs, baccalà mantecato (salt cod purée), deep-fried courgette flowers and sarde in saor (sweet and sour marinated sardines). 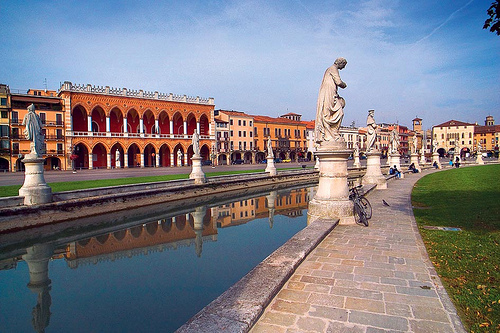 The Veneto is a rich agricultural region, producing rice, cereal crops, fruit and wine. 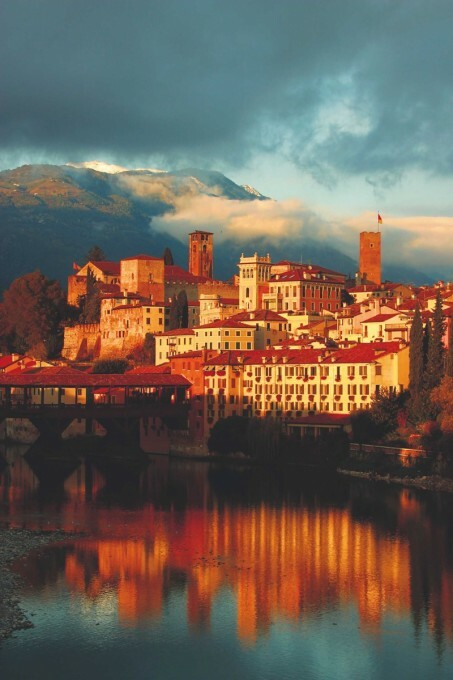 Each of its most important cities – Verona, Padova, Vicenza, Treviso, Belluno and Venezia – are gastronomic centres with particular foods, dishes and wines to boast of. 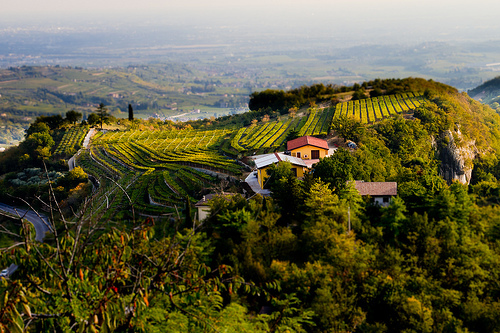 The wines of Veneto include some of the country’s most iconic whites: Prosecco di Conigliano Valdobbiadene DOC, Lugana DOC (on the south-eastern shores of Lake Garda), Bianco di Custoza DOC and Soave DOC. Its reds range from the rare San Martino della Battaglia DOC to the famous Valpolicella DOC and great Amarone della Valpolicella, and include the fine dessert wines Recioto di Soave DOCG and Recioto della Valpolicella DOC. 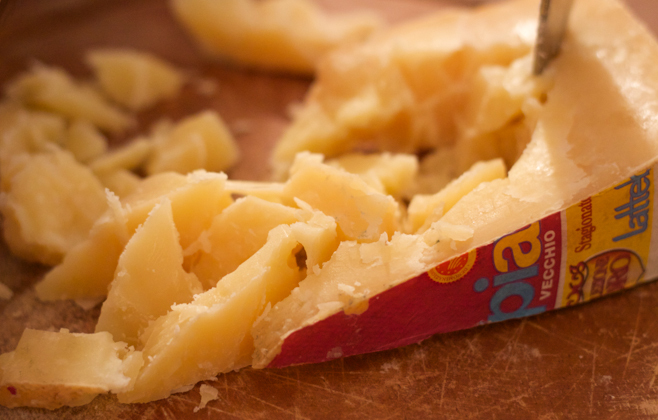 This is a region rich in just about everything: cheeses – including the great Asiago DOP and Monte Veronese DOP, prosciutto, fruits and vegetables, especially the bitter leaves of the radicchio family. 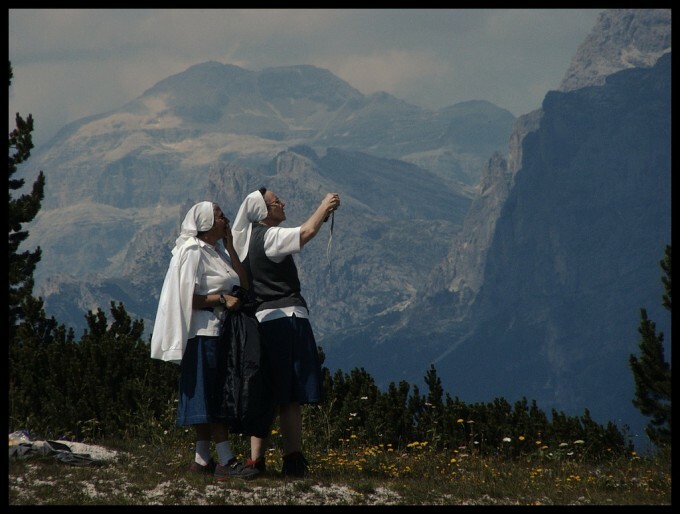 In the flat plains the paddies grow Vialone Nano and Delta del Po rice varieties, while in the area around Lake Garda and Verona fine extra-virgin olive oils are also produced. 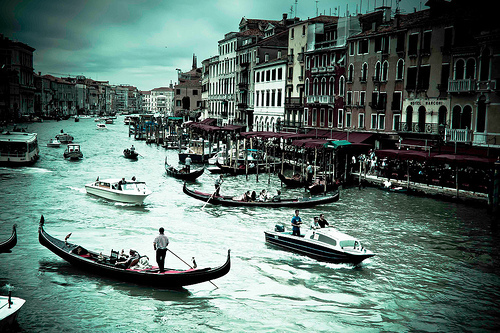 Venezia, the city of the water, is well known throughout the world. 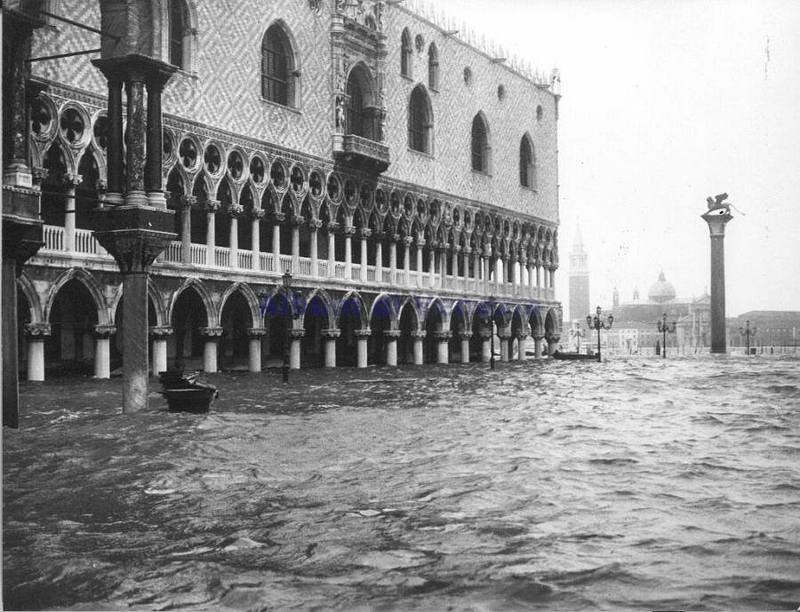 Venezia has always been a rich port and its Doges and noble citizens built some of the world’s most beautiful palazzi and filled them with great works of art from every discipline. 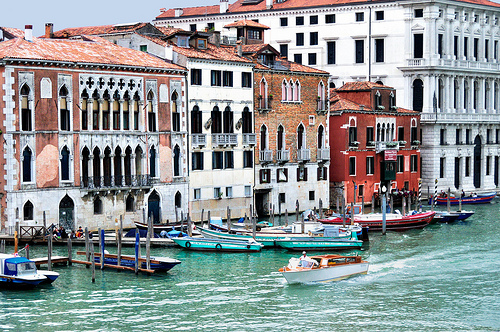 In Venezia don’t miss a ride on a gondola, a visit to Piazza San Marco and Palazzo Ducale, Ponte dei Sospiri, Canal Grande and the Cannaregio and Rialto food markets to see beautiful produce. Venezia is also known for the arts: in music, Antonio Vivaldi was born and worked here. 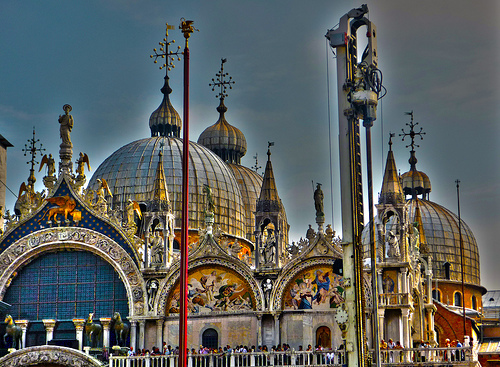 The city’s museums and churches are filled with artworks, including the Gallerie dell’Accademia, I Frari church and the Collezione Peggy Guggenheim (for 20th century art). 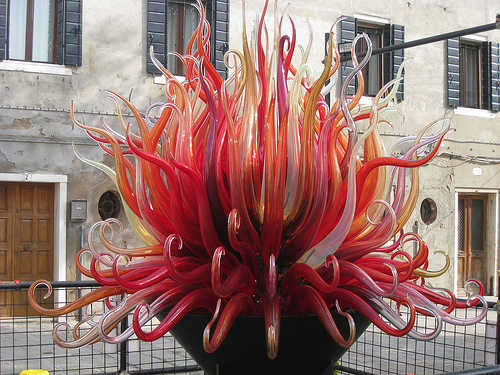 Take a boat and visit some of the Venetian islands: Murano (known for glassmaking and for the Santi Maria e Donato church), Burano (known for colourful houses and lacemaking) and Sant’Erasmo (for its famous artichokes). 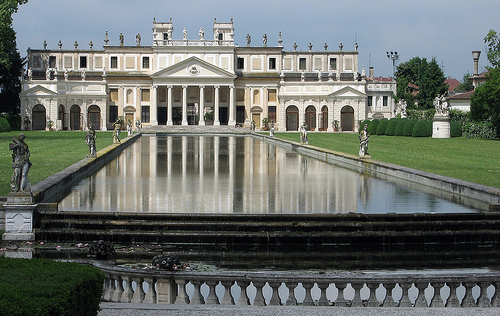 The province of Padova has many fine Palladian villas, built as summer residences for the rich Venetian aristocracy. 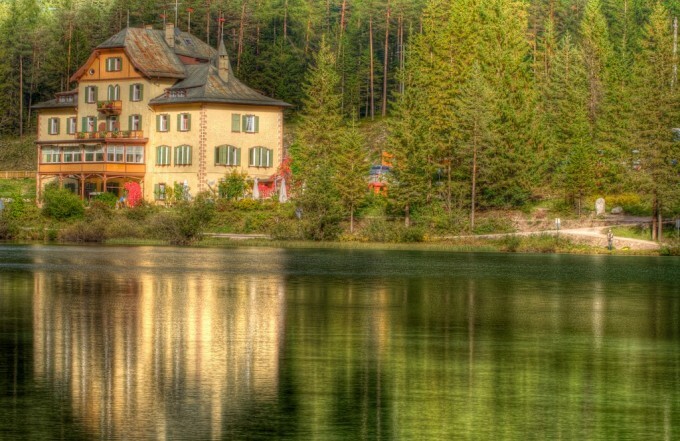 The Riviera del Brenta is the best place to see these villas, which run from Padova to Venezia. 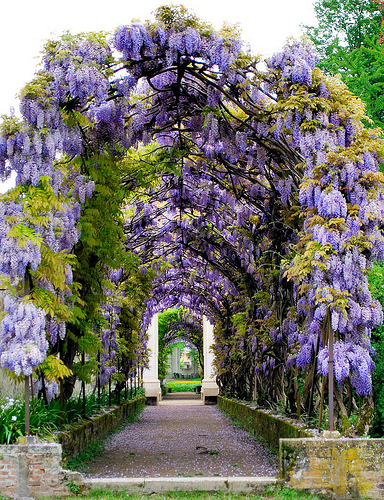 The gardens at Villa Pisani should also be visited. 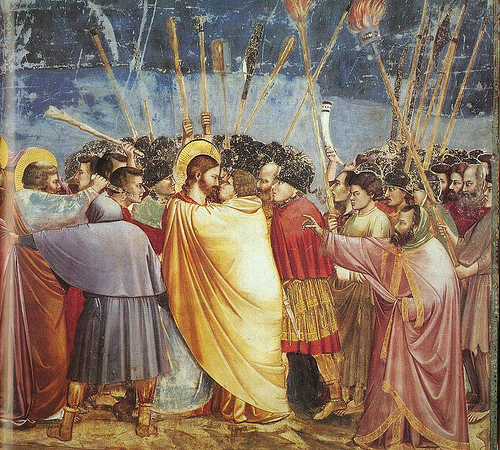 Padova is an art and pilgrimage centre where one should visit the Piazza Cavour, the frescos by Giotto in the Scrovegni Chapel, the frescoes in the Chiesa degli Eremitani, the Basilica del Santo church and the thermal bathes in nearby Abano Terme. The University of Padova is the second oldest in Italy, founded in 1222; Galileo was a professor and Copernicus a student there. 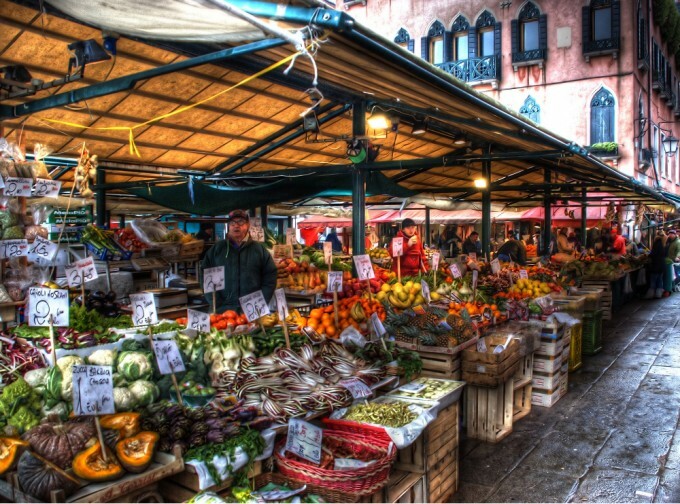 Visit the nearby food markets in Piazza dell’erbe and Piazza dei frutti. 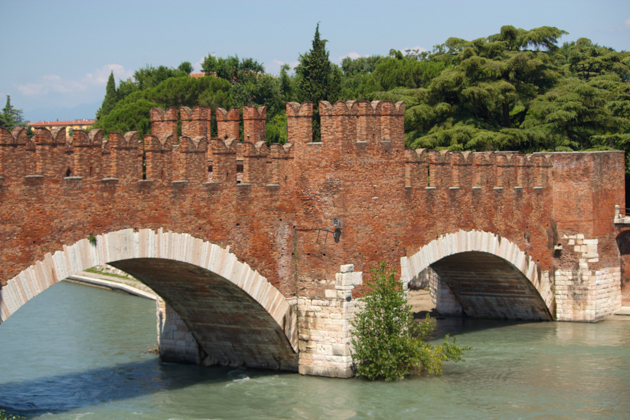 Verona, another important art centre, was where the famous Shakespearean play, Romeo and Juliet, was set. 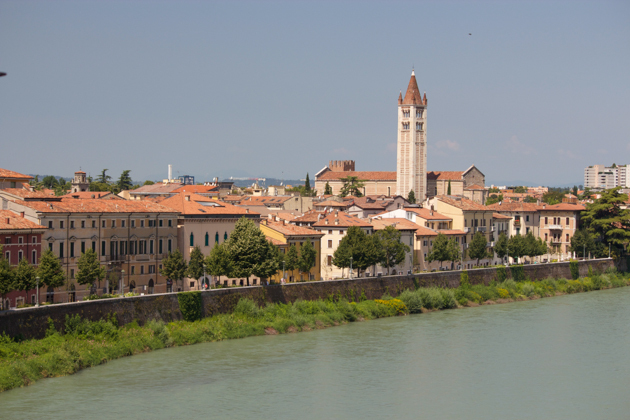 Visit the Castelvecchio (a castle with a good art museum), Ponte Scaligero and the Chiesa di San Zeno Maggiore (church). See a performance at the Arena (a Roman theatre). 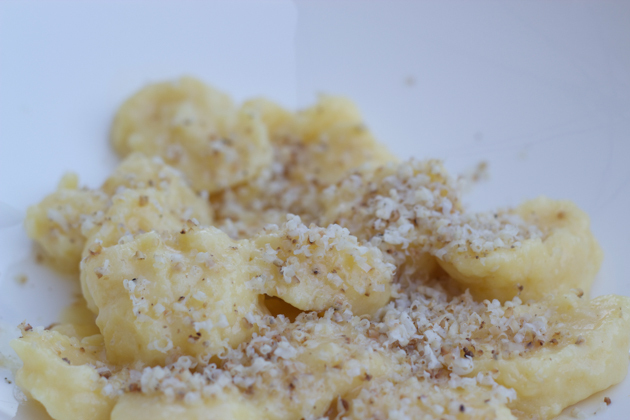 Have lunch at Trattoria al Pompiere. 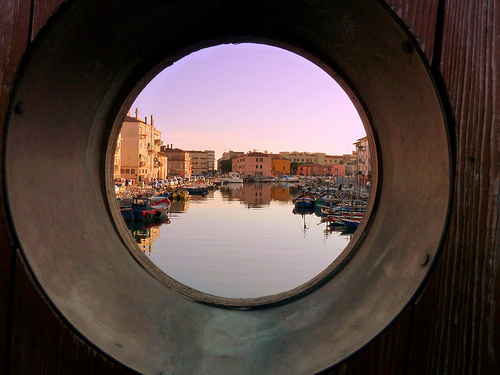 Chioggia is a fishing town on the lagoon by the coast where it is fun to go to sample the local seafood, including eels, mussels and fish. 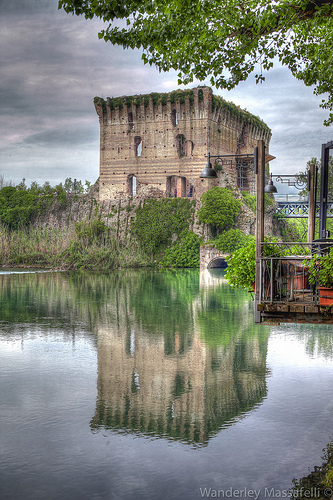 A small town worth visiting is Borghetto, which was built overlooking a river and has been a place for travellers to stop and eat and rest since the 13th century. Bring home ceramics, grappa, Murano glass (but buy from high quality makers such as Tagliapietra, Venini, Barovier & Toso and Salvati), marzipan, lace, wooden inlayed boxes, shoes, musical instruments and gold jewellery. 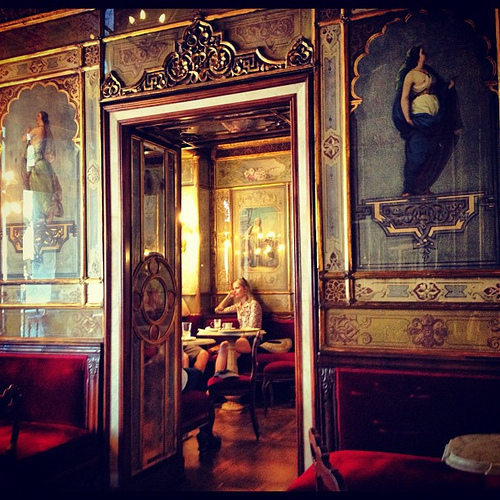 A beautiful 18th century café with frescoes and stucco decorations as well as a good place to have a coffee and watch life on St. Mark’s Square. 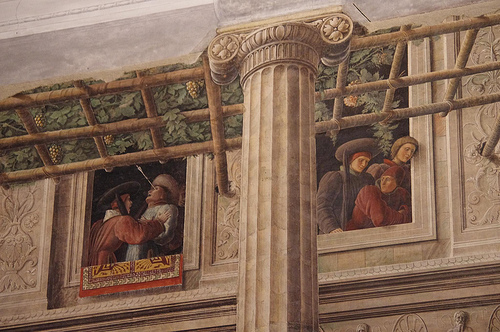 Where the bellini drink and carpaccio were invented. It has been the favourite for decades of the rich and famous such as the Rothchilds, Aristotle Onassis, Truman Capote, Charlie Chaplin and royalty from Spain, the Netherlands, Greece and Britain. It is quite touristy and expensive but a good place for a drink. 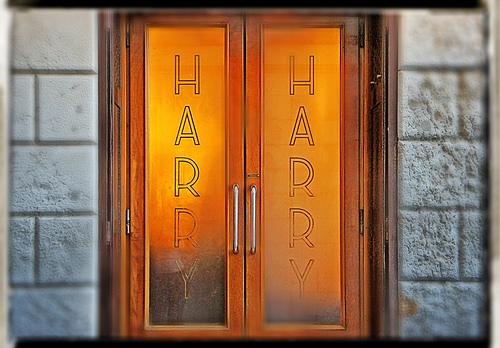 Considered one of the best restaurants in Venezia with some of the freshest seafood. Expensive, but worth it. One of the most famous hotels in the world housed in the 14th century Palazzo Dandolo. It is very expensive. 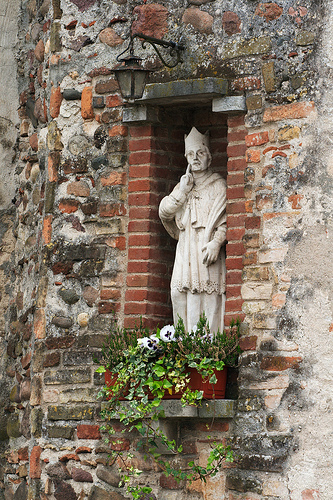 The two iconic ingredients of Veneto are rice and beans. 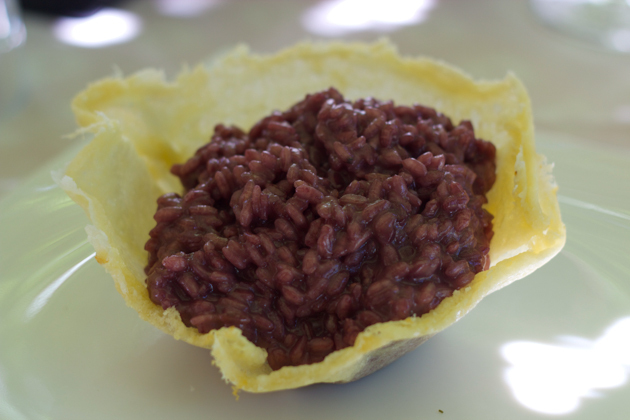 Rice, usually Vialone Nano, is served with everything one can eat in Veneto, from vegetables to seafood and meats. 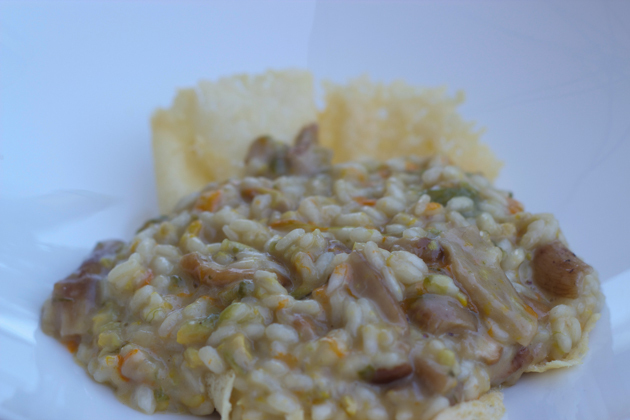 Risotto takes about 25 minutes to prepare and is only cooked in small quantities so be patient if you order it. It should be worth it. 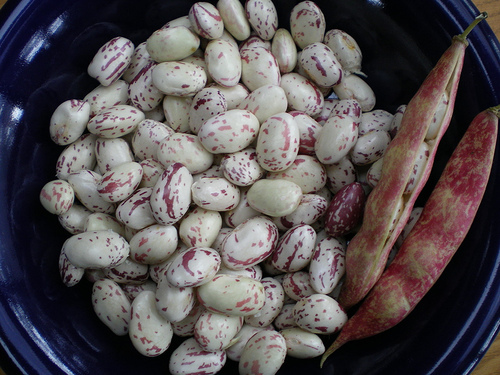 Beans are grown in Lamon, Belluno and Feltre and include white Cannellini beans as well as green beans, runner beans and mangetout. 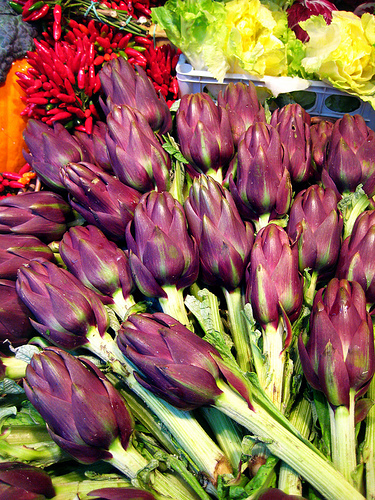 Radicchio, a bitter salad green, is another local ingredient particularly associated with Treviso. In Treviso there is a consortium dedicated to protecting the eight geographic communities of radicchio. 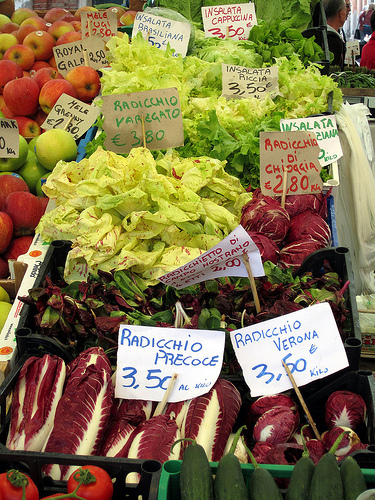 There are many varieties such as radicchio di Castelfranco, radicchio di Chioggia, radicchio di Verona and radicchio di Treviso. The brackish waters of the mouth of the River Po provide fish and seafood to the region. 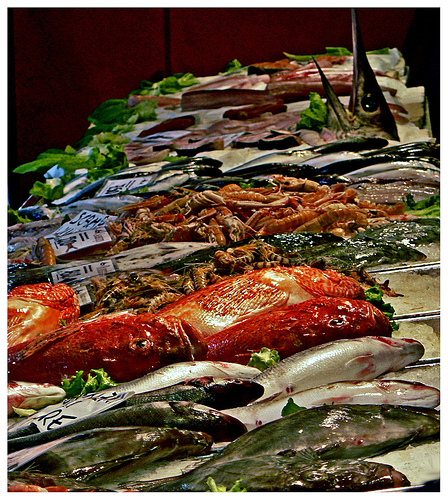 Fish has always been economically important in the Veneto. Many game birds such as mallard, teal, wigeon, tufted duck, snipe, coot, curlew and water rail also inhabit the river flats and provide unusual game options. 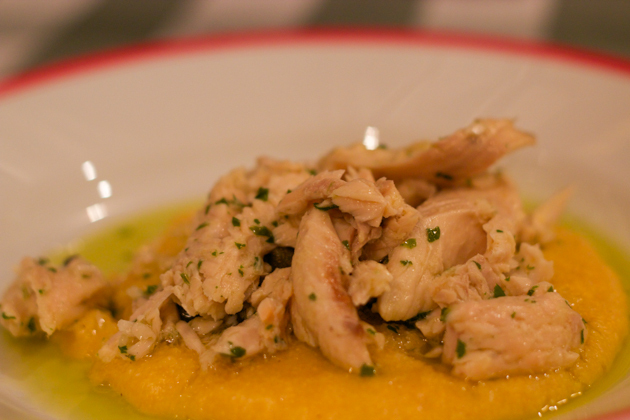 Polenta, primarily the white variety, is preferred to pasta in Veneto and is often served with game birds or salt cod, instead of bread. 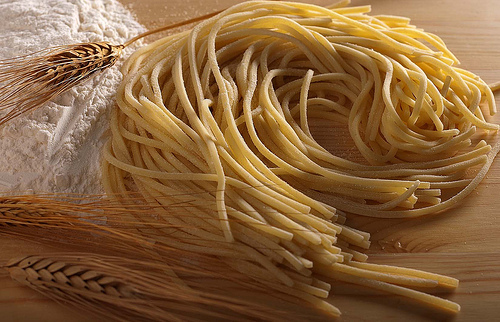 One pasta dish which is an exception, however, is bigoli – a wholemeal, soft wheat, or buckwheat dough that is forced through a ‘bigoli’ pasta machine with a perforated disk to make long strands of rough-surfaced pasta, similar to spaghetti. 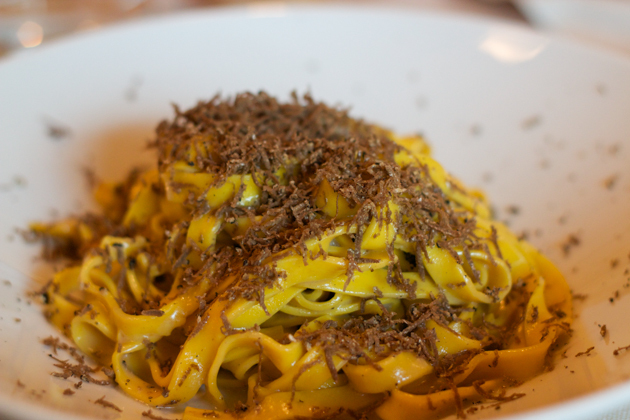 The food in Venezia and Veneto tend to differ. 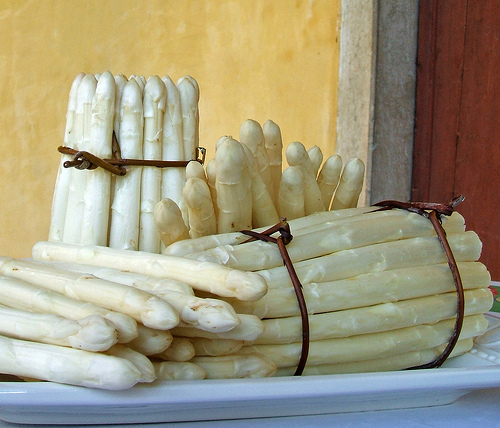 The areas away from the Adriatic are more likely to have pumpkin, asparagus, radicchio and frog’s legs added to their risotto than fish and seafood. 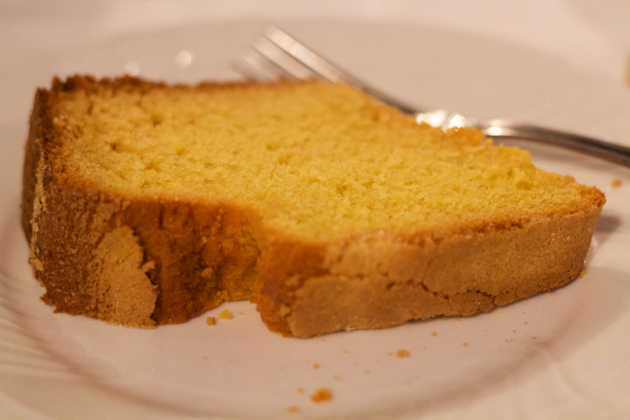 The polenta is said to taste differently to that in Venezia. 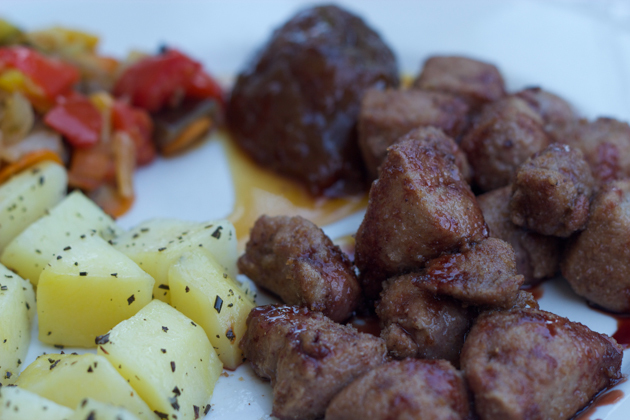 Meanwhile, in the rest of Veneto, more meat and sausage is eaten than seafood. 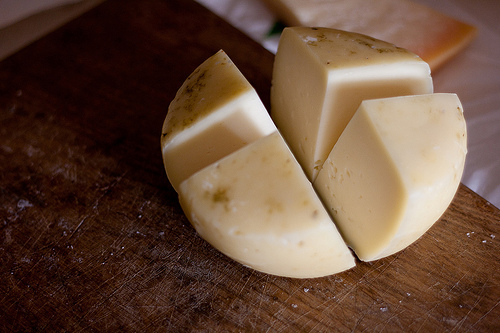 Cheese is less popular on the coast than in the interior of the region. 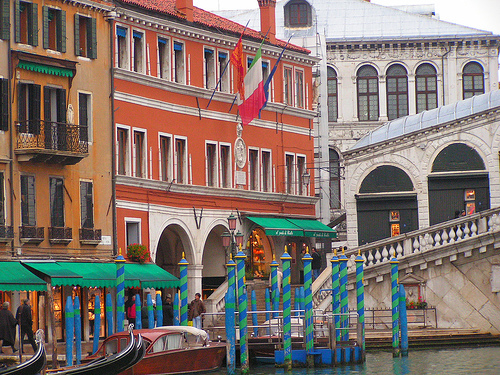 Venezia tends to have exotic spices, fine sauces and seafood. 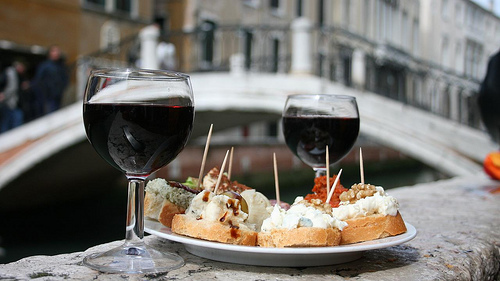 More seafood is eaten in Venezia than in any other Italian city. 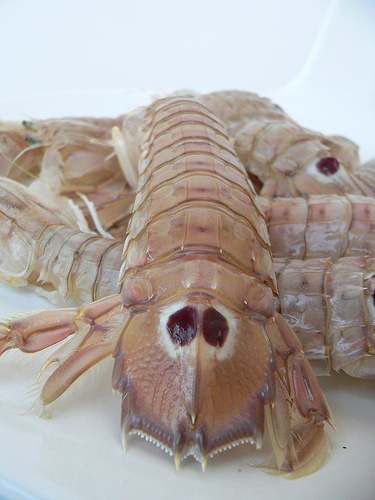 Local seafood includes: carpet shell clams, razor clams, mussels, scallops, snails, cuttlefish, squid, octopus, latte di seppia, shrimps, scampi, spider crabs, soft shell crabs, mantis prawns and soft shell crabs), and fish (sfogi, sole, sardines, anchovies, stockfish, sea bass, goby, sardines, eels, pike, carp, sturgeon, trout, tench, pike-perch, mullet and gilt head bream). Baccalà (salt cod), typically from Norway, is also a favourite. 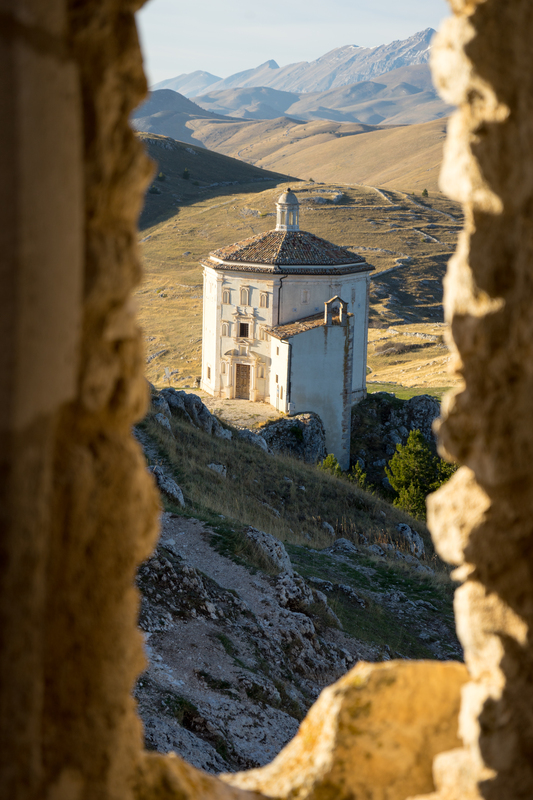 Other local ingredients include: extra-virgin olive oil, cheeses, Veneto Berico-Eugenio prosciutto, horse, lamb, goose, chickens from Padua, turkeys from Vicenza and pigeons from Treviso. Fruits and vegetables include: peaches, pears, cherries, pomegranate, garlic, lettuce, barley, Bassano white asparagus, Castraure artichokes, chestnuts, squash, pumpkins, saffron, honey armillary and porcini mushrooms, carletti and bruscandoli (wild greens), and peas. 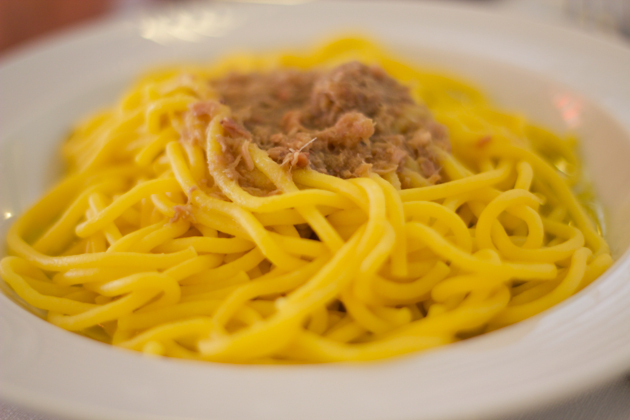 The cuisine of Veneto is considered to be one of the most refined in Italy. The dishes make use of what the land and waters offer and are often mixed with expensive spices and saffron. 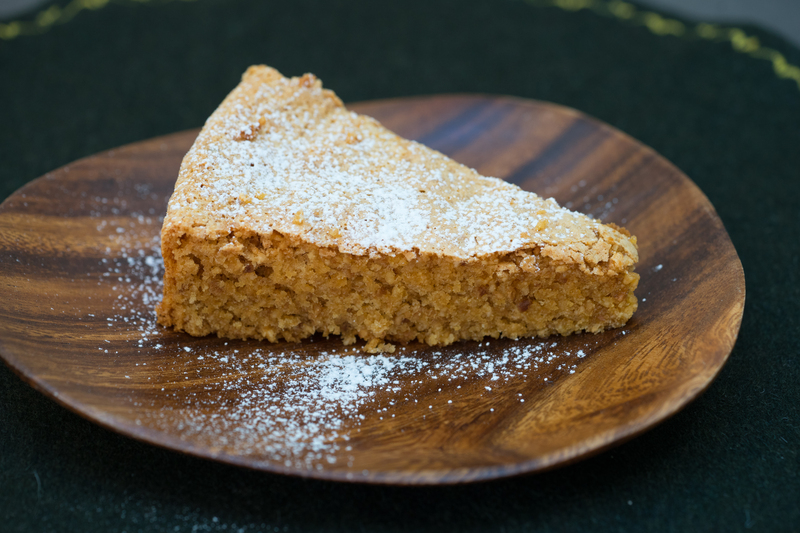 For recipes from the Veneto, click here. 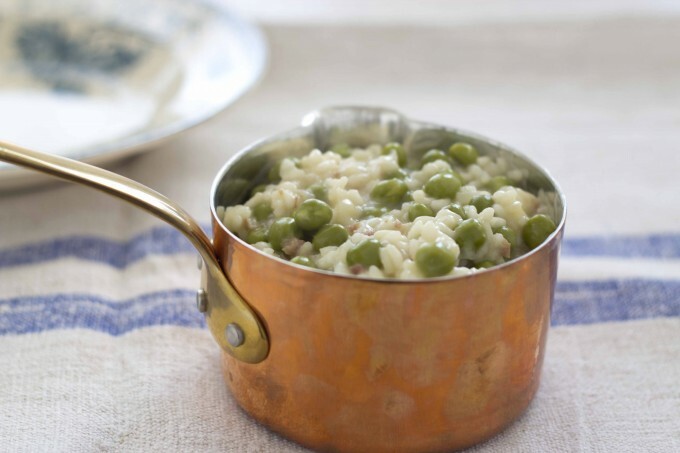 Risi e bisi (rice and peas) is the most iconic dish of Veneto. It appears to be quite simple but requires some technique. The rice must be neither to dry nor too soupy. 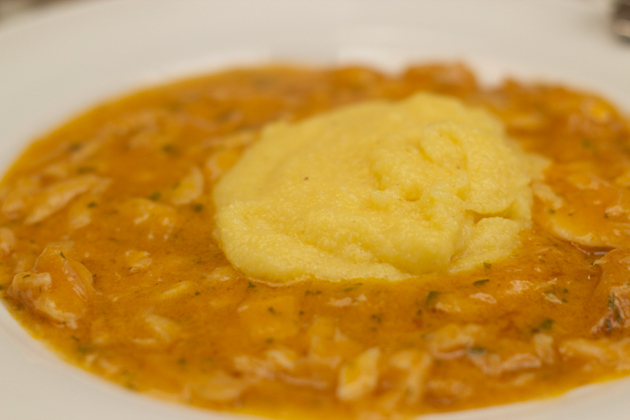 ‘Deve avere l’onda’ – ‘it must have the wave’, is a term used for a correctly cooked risotto. 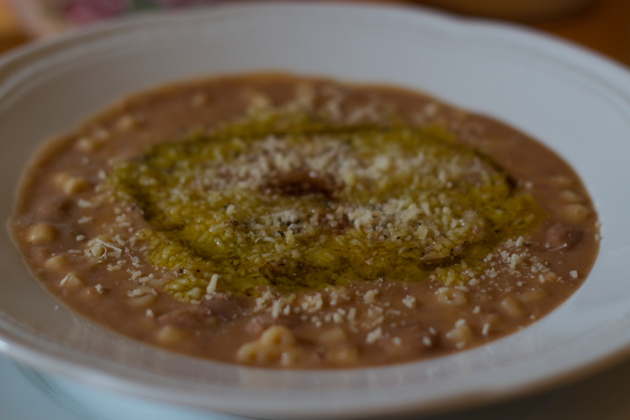 Beans, being the second most iconic ingredient in Veneto, bring us to another dish personifying Veneto cuisine, pasta e fagioli (pasta and beans). The preparation of this dish exemplifies slow cooking. 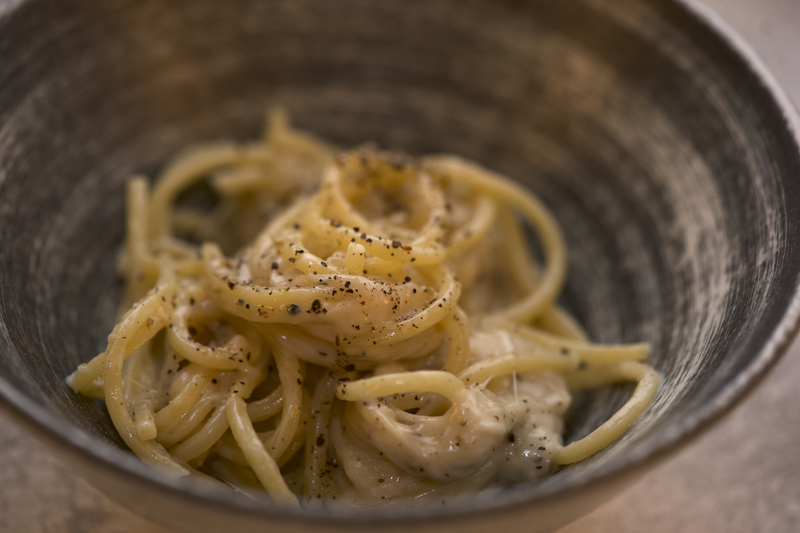 The beans are simmered slowly with onion until tender; the pasta is added at the end with a drizzle of extra-virgin olive oil to finish it off. This dish goes well with a fine glass of local wine. 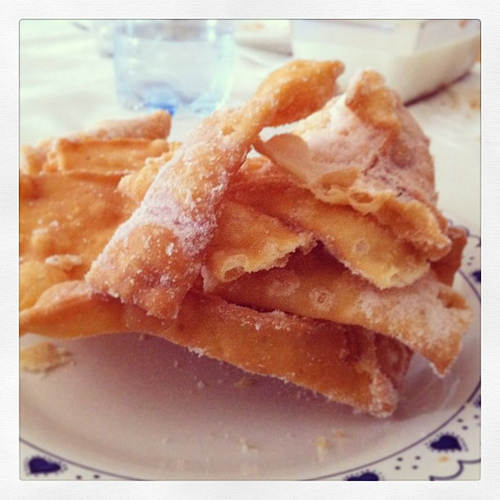 The special foods served during Carnival in Venezia include: castradina (a salted, lightly smoked, air dried lamb stew), baccalà (salt cod), fegato alla veneziana (calves liver with onions), buranelli (butter cookies), zaletti (polenta biscuits), and fritole / fritelle / chiacchiare / bugie (fried dough dusted with sugar. Doughnut fryers (fritoler) historically had street stalls and would sell many imaginative types of doughnuts flavoured with grappa, anise, raisins, pine nuts, melon flowers, rice, and even fish. Other typical dishes from Veneto include sopressa (a large pork salami made with cinnamon, cloves, and rosemary), salame all’aglio, baccalà cooked in various ways, spit-roasted pigeons, radicchio di Treviso, roasted fish, fried fish, sarde in soar (deep-fried sardines served with onion, vinegar, raisins, and pine nuts), bigoli in salsa (homemade spaghetti with anchovies), pandoro (a simple cake of flour, sugar, eggs, butter, and yeast dusted with sugar and eaten at Christmas), marzipan (almond paste, said to have been invented in Venezia) and many different types of doughnuts. For recipes see here. 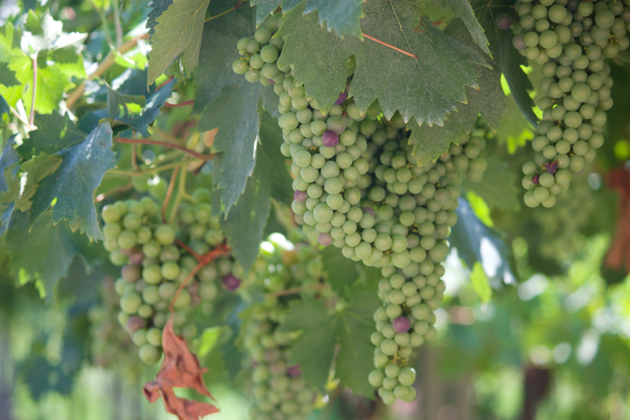 Nice wines from the area include the sparkling Prosecco, Soave, Valpolicella and Bardolino. One challenge with wines from these areas is that there is a huge range in quality so it is quite important to buy from the right producer. 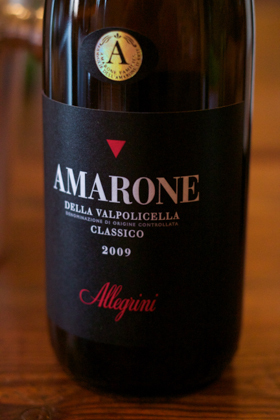 One of my favourite red wines from Veneto is Amarone. It is full-bodied with a concentrated flavour. 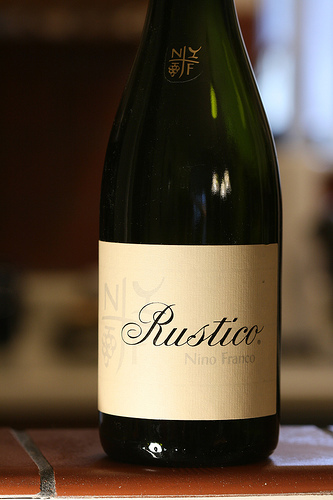 White sparkling Prosecco wines from Veneto are lovely on a hot summer’s day. 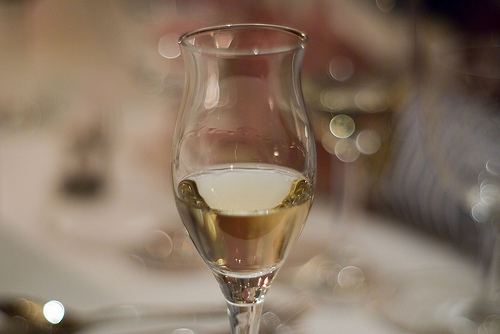 The best Prosecco is from Prosecco di Conegliano Valdobbiadene Superiore di Cartizze DOCG and is produced by Desiderio Bisol, Bortolin or Nino Franco. Also nice are Proseccos from Prosecco di Conegliano Valdobbiadene DOCG and Colli Asolani Prosecco DOCG produced by Bele Casel, Ruggeri and Val d’Oca. For still white wines, try Soave produced in Soave Classico DOCG or Soave Colli Scaligieri by Bertani, Bolla, Figli Fattori, Gini, Inama, Pieropan, Prà, Suavia and Tamellini. 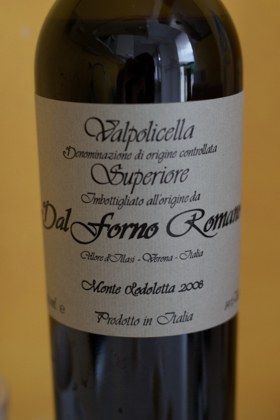 Valpolicella is a locally produced light red wine with a sour cherry character that ranges from nice to very good. It is often served chilled. It is produced in Valpolicella DOC or Valpolicella Classico DOC and the distinction “Superiore” on the bottle is an indication of quality. 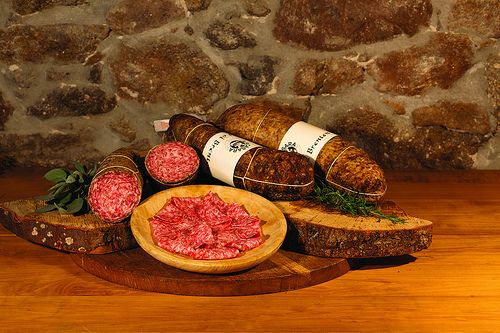 Better producers include Allegrini, Gino Fasoli, Guerrieri-Rizzardi, Novaia, Romano dal Forno and Tenuta Sant’Antonio. Amarone, is a bolder, age-worthy sweeter red wine than Valpolicella but is made in the same DOCs and Amarone della Valpolicella DOCG again with the “Superiore” label also an indication of higher quality. Producers to look for include Stefano Accordini, Allegrini, Ca’ La Bionda, Corte Sant’Alda, Guerrieri-Rizzardi, Massimino Venturini, Musella, Pasqua, Quintarelli, Roccolo Grassi, Romano dal Forno, Serafini & Vidotto, Speri, Tedeschi and Tenuta Sant’Antonio. 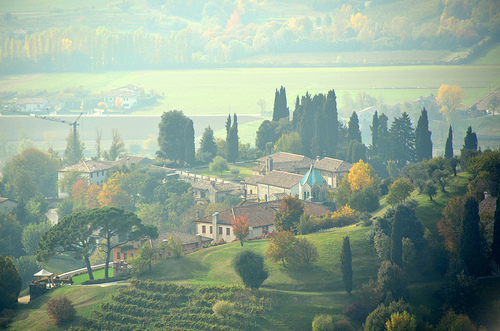 Between the two styles of Valpolicella and Amarone is Valpolicella Ripasso which has more flavour, body and character than Valpolicella but is lighter than Amarone. Great producers of Ripasso include Bertani, La Giaretta and Santi. Veneto has many nice sweet wines from Recioto di Soave DOCG (try producer Antonio Fattori) and Recioto Valpolicella DOCG (try producers Quintarelli, Dal Forno or Tedeschi). Cellar tour: Dal Forno: Worth the hype? 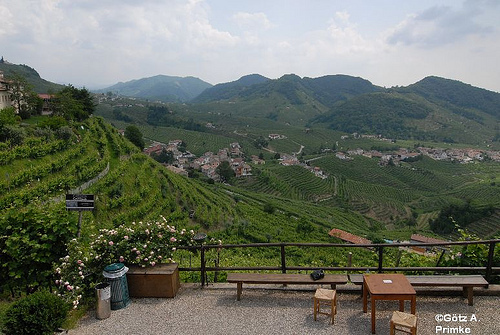 Cellar tour: Bisol -Think you know prosecco?